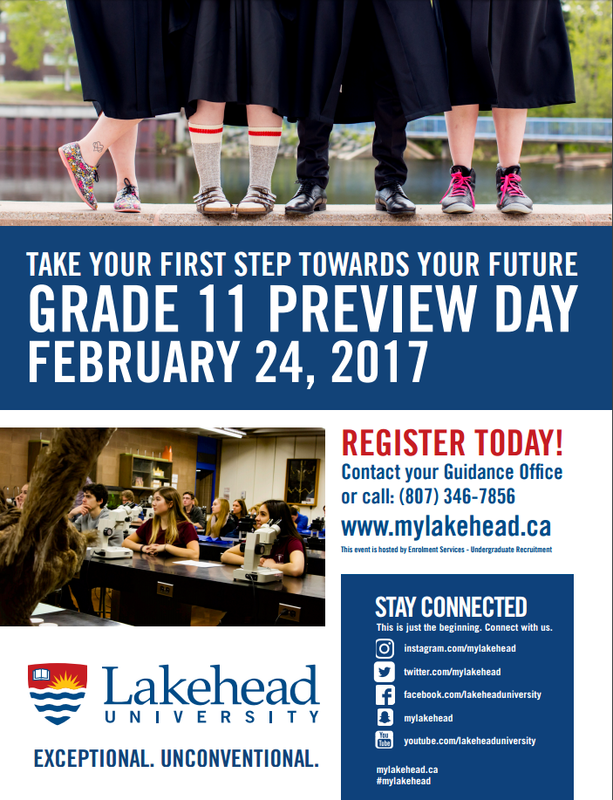 Lakehead University is offering an upcoming preview day. The day is designed for Grade 11 students who are interested in learning about the university’s programs and services. See the poster below for more information. 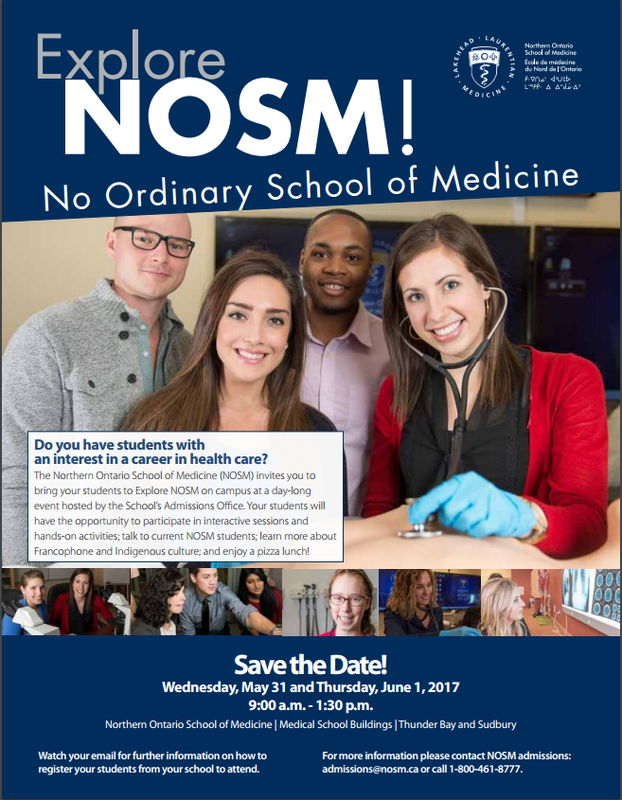 The Northern Ontario School of Medicine is also holding information sessions later on in the Spring. These sessions are geared for students who have aspirations in health care education and careers. Any students who might be interested in either of these sessions are invited to see Mrs. Humphreys in Student Services.